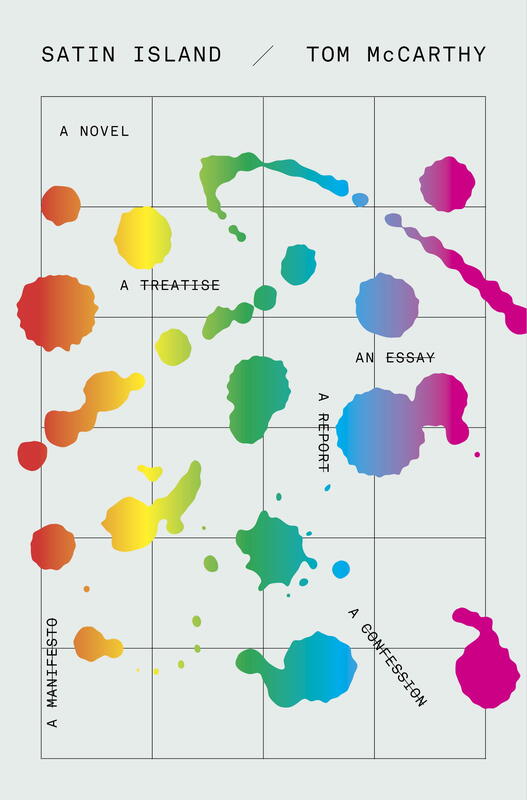 Tom McCarthy’s latest book Satin Island exists in a glorious new realm of writing between a novel, a narrative manifesto, a treatise, and a test. Written in the form of a bureaucratic report, Satin Island is equal parts Franz Kafka, Claude Levi-Strauss, and a ream of terms and conditions small print, and McCarthy is the sly sort of genius that can make it all work. It’s with this allusion to narratives that Satin Island begins to resonate at a remarkable new frequency. Could literature itself, or reading, or writing an experimental novel be some sort of modern-day anthropology? What is literature but our collective cultural narrative? Satin Island is an airtight novel, suffocating at times, but every tangent contributes to an intoxicating system of experience, history and reference. The plot of Satin Island begins to fade away into its boring self and something bigger emerges, about the core of books and how we experience information. Every Kafkaesque allusion or neo-sci-fi tease has its role. In section 4.1, U. unravels for a moment to marvel at one of his heroes, the renowned anthropologist Claude Levi-Strauss, who “zapped from continent to continent, culture to culture, traveling through worm-holes of association till he’d remade the entire globe into a collage of recurring colours, smells and patterns.” McCarthy, too, is zapping between literary classics, through similar worm-holes of association. U. asks for a “grid that we could lay across it all” to “establish a grand pattern of equivalences.” Satin Island attempts to be that patterning. A Gordian task, but expected, and accepted. Suddenly all of U.’s tangents spin together: a parachutist in the news who may have died from foul play, the half-formed face of his girlfriend, buffering, during a Skype chat, a recent oil spill, a video of Nigerian traffic patterns. Might all these be part of the Great Report? They possess a common thread, which reveals their parity: all of these instances can be conjured in seconds from a phone, streamed, even projected on a wall. Maybe we’re all writing it, still, you and me. Past McCarthy’s ominous cultural critique, there’s something that U. is missing in his Great Report that McCarthy expounds on at length in Satin Island: the conversion of data into art might be something close to that present-day anthropology that Peyman seeks. Information is everywhere, and soon will be accessible by everyone. It’s what we see in that array that may define our culture. Just as U. sees a haunting beauty in a viral news story, or senses patterns in the rampant dots of a Nigerian rush hour, we see a furious balance of life and art and data in a book slyly crafted to make itself seem as boring and impenetrable as possible. We break through to find something revelatory.